This entry was posted in Skipjack Deadlines/Ad Rates by Laura. Bookmark the permalink. Can you give me the deadline for your next issue? Is there any discount for advertising in multiple issues? 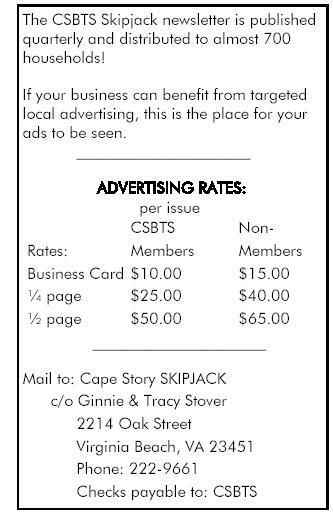 Do you currently have room for new advertisers? What format do you accept the artwork in? I’m assuming you’re talking about our newsletter, the Skipjack?